Over 30,000 people a year suffer a cardiac arrest out of hospital in the UK. Only 1 in 10 victims of cardiac arrest survive in the UK; however in Norway, where every school pupil learns CPR, 1 in 4 people survive. Basic CPR training can be taught in 1 hour and in some cases in less than 30 minutes. 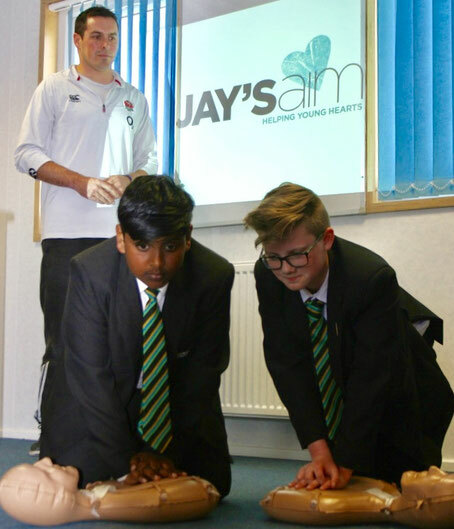 Jay's AIM use the British Heart Foundation's 'Call Push Rescue' scheme to deliver basic CPR training in the Schools, Sports Clubs and Businesses it visits. The 'Call Push Rescue' scheme is a watch and learn package, using a video to teach young people CPR. Jay's AIM have access to 35 personal training mannequins, meaning we can run sessions for relatively large groups of young people at one time. All young people who attend a Jay's AIM presentation are invited to take part in the basic CPR training sessions. Where possible, the sessions take place on the same day and location as the presentation. We also hold basic CPR training sessions in central locations for those that cannot attend on the same day as a presentation. 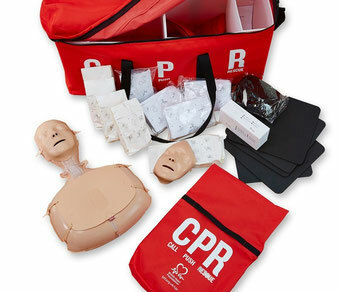 If you would like to attend a central basic CPR training session simply click on 'Basic CPR/AED training sign up form'. We will then email you to let you know where and when the next event is. The number of events varies depending on demand but we normally hold one of these events every 6 - 8 weeks. More information on the 'Call Push Rescue' scheme can be found here. 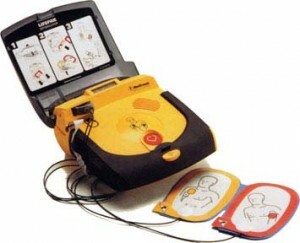 We use a number of professional companies to deliver the advanced CPR/Defibrillation training that Jay's AIM offers. The training sessions are delivered by a fully-trained first aid professional and are certificated. Jay's AIM pays for the training through its fundraising work, so they are completely free to you! Anyone can apply to attend an advanced CPR/Defibrillation course - we would encourage you to apply for a place if you are a leader within an establishment in charge of large numbers of young people, or if you have access to a defibrillator and want to become more confident in being able to use it in an emergency. To apply for a place on an upcoming advanced CPR/Defibrillation training session you will need to complete the 'Advanced CPR/Defibrillation Online Application Form' located at the top left of this page. Places are sometimes limited so please include as much information as possible when applying and make sure you can definitely get to the venue on the date of the course. MAKE A DIFFERENCE - BE A LIFE SAVER! This charity is set up in memory of James (Jay) Alexander Osborne. For more information please see the 'About Us' page.